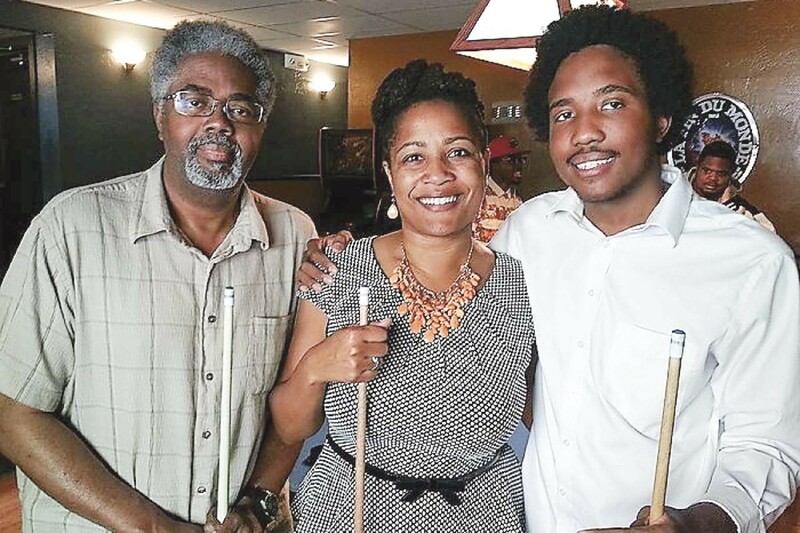 Tragedy struck Oakland Councilmember Lynette McElhaney, family, friends and the East Bay political world following the death of her 21-year-old son, Victor McElhaney, during a failed robbery attempt in Los Angeles. Victor was a 21 year-old senior at USC Thornton School of Music, where he was pursuing his lifelong love of music with some of the greats. NBC Bay Area first reported Sunday news of the U.S.C. student's death, which occurred earlier in the morning. McElhaney, who has served on the Oakland City Council since 2012, issued a statement Sunday evening. "It is with the utmost sadness that I share with you the tragic news that my son, Victor McElhaney, was slain last night in a senseless act of violence," she said. "Victor was a son of Oakland. He was a musician who drew his inspiration from the beat, soul, and sound of the Town and he belonged in every nook and cranny of Oakland. I miss my baby. Please keep me, my family, and all of my son's friends in your thoughts and prayers." With the din of tenants demanding greater rent protections becoming louder throughout the city, the Hayward City Council unanimously approved an emergency just-cause ordinance last week despite protests from a large number of landlords. The speed and urgency of the vote is a notable reversal in Hayward, which in recent years has shown a predilection toward a long and deliberative process, including the use of committees and task forces to study even its most pressing problems. "I am deeply rooted in the neighborhoods and I hear their concerns," said Councilmember Elisa Márquez, who offered the referral during the Feb. 26 meeting. "We've been putting these decisions off for years,"
Márquez said last week that the pace of the city's efforts to stem rising rents and displacement of its residents is far too slow, while criticizing the demeaning tone of some landlords participating in recent discussion with city leaders and tenant activists. She also said she feared that some landlords would use the interregnum before city staff's ongoing work on an amended rent stabilization ordinance due to return to the council in late spring or summer to significant raise rents and evict tenants. A number of landlords told the council Tuesday night that the emergency ordinance was rushed and failed to give stakeholders a chance to process the proposal. Earlier in the day, the landlord-backed Rental Housing Association of Southern Alameda County attempted to scuttle the item, asserting in a letter to the city that the emergency ordinance is a violation of the Brown Act, the state law requiring transparency in government deliberations. Landlords believe Tuesday's agenda item was illegal since an action was taken at the council's Feb. 26 without a majority of the council. But the city disagreed with the association's position. Hayward City Attorney Michael Lawson noted the section of the Brown Act, but added during Tuesday night's meeting that the letter omits another portion of the act that covers referrals. Lawson recommended the council proceed with the item. With increasing hopes that a third iteration of a bill to exempt menstrual products from a sales tax, the Alameda City Council offered a resolution in support of Assembly Bill 31. Alameda is believed to be the first city in the state to endorse Southern California Assemblymember Cristina Garcia's legislation. Councilmember Malia Vella, who issued the referral, along with Councilmember John Knox White, to urge the council to weigh-in with a resolution, said, "Tampons — menstrual products — are essential items. There's no reason they should be taxed. These aren't luxury items." Tampons and sanitary napkins add an estimated $20 million annually in extra costs for women in California, an added expense that also hurts women in low-income households. Eleven states do not tax feminine hygiene products, the closest to California being Nevada. Assemblymember Rob Bonta is one of the bill's co-sponsors. An elementary teacher from Fremont and a Hayward school instructor are among five educators suing the California Teachers Association, alleging their First Amendment rights were violated after the teachers' unions continued to illegally deduct dues after each had revoked their union membership out of political concerns. Bethany Mendez, the lead plaintiff in the suit, received a union application in May 2018 from the Fremont Unified School District Teachers Union. Doubting the union would represent her interests, Mendez did not follow through on signing the form. She signed the document last June "believing she had no other option but to financially support the union," according to the lawsuit filed Monday in U.S. District Court. But Mendez and others said they were unaware they could decline to join the union and still be represented by them in employment contracts. Mendez resigned from the union, in a letter to the California Teachers Association on Oct. 12, said the lawsuit. Mendez said she was later harassed by union employees in an effort to get her to rescind the action. "Mrs. Mendez told them she did not appreciate being bombarded with pro-union propaganda while at work," according to the lawsuit. The complaint is based on the U.S. Supreme Court's decision last June on Janus v. AFSCME, said Harmeet Dhillon, the lead attorney for the plaintiffs. The court's ruling found it was a violation of the First Amendment to compel pubic sector employees to subsidize union activities of which they do not agree. Following the decision, unions warned membership could dwindle by up to 30 percent. The lawsuit includes three other plaintiffs from Southern California, their school districts, and superintendents.